Weatherproofing your garden is becoming an increasingly attractive alternative as bizarre weather plays serious havoc for gardeners. 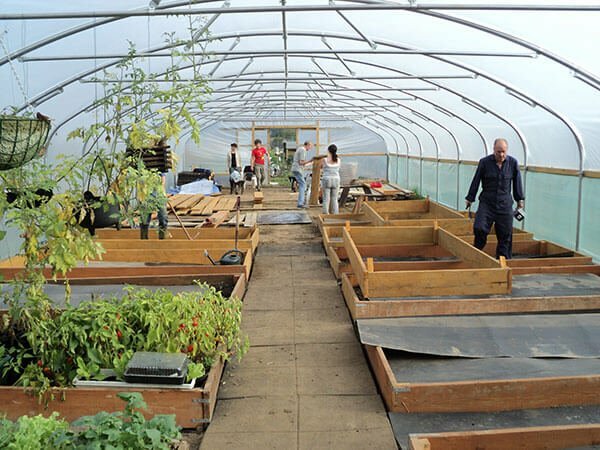 Whether you are considering your First Polytunnel or renovating a second-hand Poly tunnel you’ll find all there is to know at First Tunnels. From unique additional/replacement Polytunnel tube design system, replacement clamps, cloche hoops to free downloadable polytunnel construction guides with easy to follow step by step instructions on how to assemble and cover a Polytunnel. You can watch a number of short Poly tunnel related videos via our tunnel vision channel full of helpful advice including polythene covers for polytunnels irrigation for polytunnels and even repairing a polytunnel cover. If you prefer to talk Polytunnels with our dedicated team, why not call on 01282 601253 Monday – Friday or 07801 601253 Saturday – Sunday. Whether you have a technical Polytunnel construction questions or just need a little bit of pre-purchase reassurance, we are always happy to help. If you are looking for ideas on “what you can grow in a Polytunnel”, look no further. With the help of Mark Gatter and Andy Mckee bestselling authors and owners of First Tunnels Polytunnels we have produced monthly Polytunnel growing guides to help make the most out of your Polytunnel all year round. Please feel free to request a copy of our comprehensive brochure. First Tunnels have been awarded the Google Certified Shop badge!